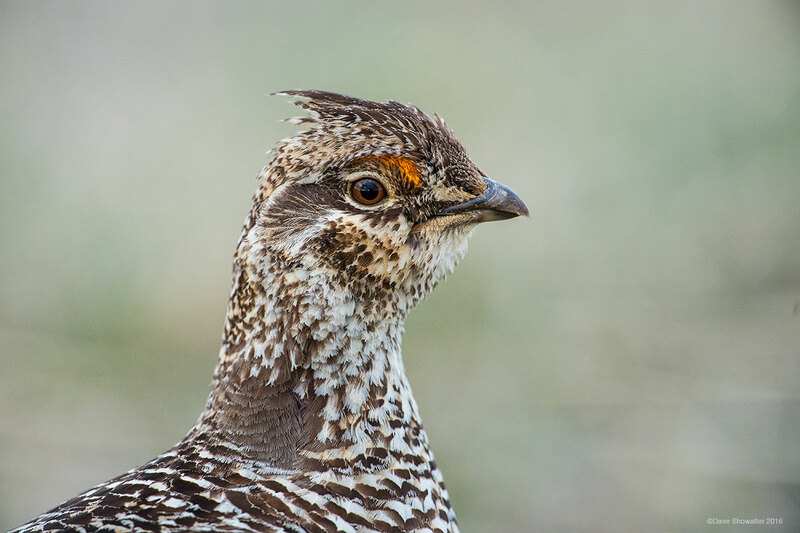 Once the most abundant game bird when Lewis and Clark surveyed the west, the Columbian sharptail grouse now occupies about 10% of their historic range, preferring mixed sage and grassland habitat. "Sharpies" are so amusing to watch when displaying on lek - spinning like tops, stomping feet, chasing, and fighting. Here, a male pauses near my blind, unconcerned with my presence. Photo © copyright by Dave Showalter.